More than eighty films at the jubilee tenth BELDOCS festival. The anniversary 10th edition of the Belgrade International Documentary Film Festival, Beldocs, which will be held from 8th to 15th May 2017, will be marked by numerous firsts and the screenings of over eighty top contemporary documentary films. The tenth Beldocs festival will officially open on 8th May at 20.30 in the Great Hall of the Sava Centre with the screening of “One More Time With Feeling”, Andrew Dominik’s film about great music star Nick Cave. The festival will screen, among others, a film about Ingrid Bergman, one of the most famous European actresses of all time, the hit film “Mr. Gaga”, which won prizes in Sofia, Aspen, the IDFA and HOTDOCS, as well as many other films that have won awards around the world. When it comes to festival sections, apart from international and domestic competition segments, we will also enjoy biographical documentaries, which last year attracted enormous public attention, but also brand new sections: music and dance documentaries, the special “Creation vs. Destruction” selection, retrospectives of Goran Marković and Aliona van der Horst, as well as ecological documentaries, which this year, in accordance with global trends, will find their place in the Feelgood movies programme. Over the last few years, artist, performer and author of sevdalinka music, Božo Vrećo, has become a musical sensation not only in this region, but also at the European and world levels. The New York Times recently described this lyrical tenor as “a man with an angelic voice, who touches the heart and caresses the soul,” before further describing him as being a synonym for total freedom. Vrećo has released four studio albums to date, the most recent under the title “Pandora”. This summer will also see the release of his fifth album, “Božo Vrećo – live in Paris” – featuring the live recording of his concert at Paris’s famous Théâtre Le Palace. The repertoire of his awaited upcoming concert, along with traditional sevdalinka, will see Božo rank himself among the authors of sevdalinka, in which it is worth noting his undeniable talent and skill in authoring new sevdalinka numbers, where his creation filled a gap that lasted for more than thirty years – since the last sevdalinka works were written. Upgrade with Guy Gerber – 3rd Season Opening! After bringing the leaders of the global electronic music scene to Belgrade in the previous two years, Upgrade will start its third season with the guest performance of an extraordinary player. 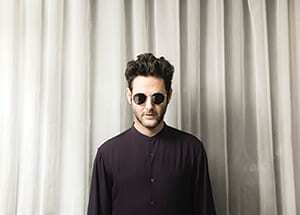 Elusive Israeli magician Guy Gerber will perform under Belgrade’s open sky on Friday 12th May! This is a specially selected event is Gerber’s calendar, with an extremely limited capacity, in the cult open-air space of Barutana, located under the ramparts of the Belgrade Fortress. The prologues and epilogues for this May night are being prepared by Kristijan Molnar and Vlada Janjić, while the first advanced tickets, at the early price of 890 dinars, are available via all Gigstix and Eventim ticket offices. The new King of sevdah music (according to The Huffington Post), the charismatic Damir Imamović, chose one of the Serbian capital’s most beautiful concert spaces with the best acoustics for the promotion of his new album “Dvojka” (Deuce). 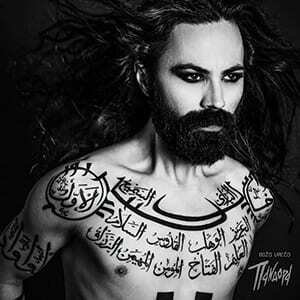 Produced for the best world music label, Glitterbeat Records, “Deuce” has received rave reviews across the globe, bringing Damir and his Sevdah Takht deserved fame. Damir comes from Sarajevo’s famous Imamović family and is the grandson of one of the most influential singers in the history of sevdah music – Zaim Imamović. He is considered the pioneering leader of “new sevdah”, composing modern interpretations of traditional Bosnian songs as initiated by the Mostar Sevdah Reunion and continued by Amira Medunjanin, Božo Vrećo and the Divanhana group. What makes Damir Imamović and Sevdah Takht specific is their original and researchbased approach to sevdah, which constantly pushes the limits and breaks taboos related to traditional Bosnian culture. Concert marking the 69th birthday of the KOLO ensemble. The famous “KOLO” ensemble will celebrate its 69th birthday on 15th May at the Sava Centre with its annual gala concert, this year entitled “Energy of Tradition”. That evening will see the ensemble present itself to its faithful audience in new attire, enriched with a modern directorial concept, innovative design and the use of scenic and technical possibilities, with renewed energy, which exudes freshness, inspiration and enthusiasm, completing the impression of the great artistic works that will be performed that evening. This evening will be an opportunity to feel the power of the art of folk dance, song and music, and the moment for tradition that belongs equally to the members of the ensemble and their faithful audience. 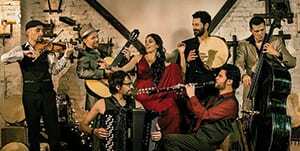 The Barcelona Gipsy Balkan Orchestra (BGKO) is an international formation which has stirred great interest in Barcelona and various other European countries through its memorable performances. 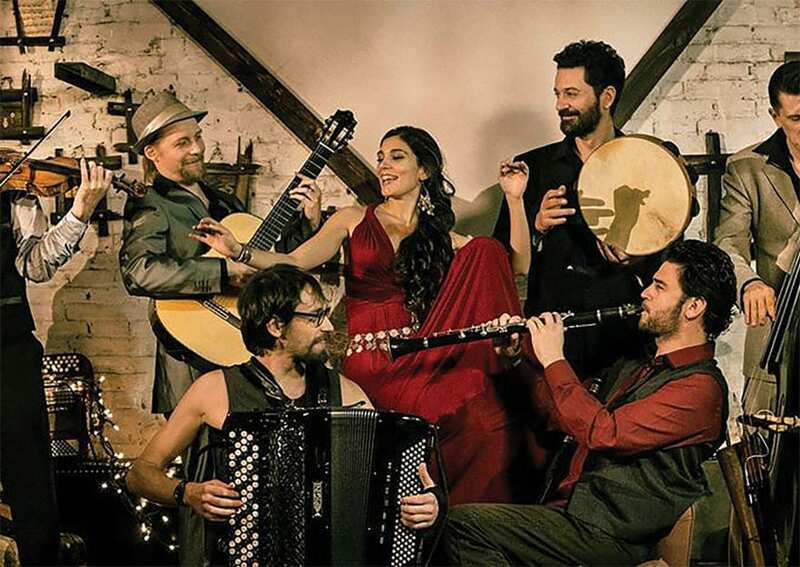 BGKO interprets the traditional music of the Balkans, as well as Gypsy and Jewish music of Eastern Europe, with an original approach and great passion, while constantly exploring their roots. The BGKO’s contemporary, unique and particular sound stems from its tireless and passionate exploration of the timbers and flavours of klezmer and Romany traditions and Balkan music. Balkan music, perceived as a set of musical traditions and a multiethnic culture, goes beyond its geographical borders and is moreover nurtured by all those historical traditions that coexisted in this land throughout the centuries: Askenazi, Jewish and Sefardi, Gypsies, Ottomans, Arabs etc. 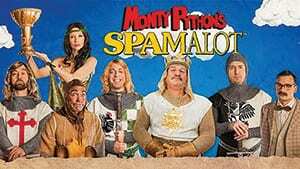 Monty Python’s “Spamalot”, a musical comedy based on the film “Monty Python and the Holy Grail”, has become one of the most popular musicals ever played on Broadway. The original Broadway show was produced in 2005 and “Spamalot” immediately received the Tony Award for Best Musical and two more Tony Awards – for Sara Ramirez for the role of the Lady of the Lake, and Mike Nichols for the best direction of a musical. The same award ceremony saw “Spamalot” nominated for as many as 14 Tony Awards. During the nearly five years of its theatrical life on Broadway, this show was performed more than 1,500 times and seen by more than two million people. The Night of the Museums represents a unique cultural spectacle in more than 120 cities worldwide, which have included Belgrade since 2005. The city’s first Night of the Museums, held in five Belgrade museums and galleries, managed to attract more than 4,000 visitors, but over the last ten years that figure has risen to a staggering 500,000 visits to museums in almost 200 locations in more than 60 towns and cities across Serbia. Serbia will be included in this year’s Night of the Museums event on 20th May with 250 exhibitions and poetry readings in more than 40 towns and cities. Ana Jovanović, founder of the event in Serbia, says that she is proud that the Night of the Museums will be taking place for the 14th time in Belgrade and the 11th time in other places in Serbia. “There will be many events in 150 cultural institutions across Serbia,” promised Jovanović, adding that 12 Belgrade venues will be included in the Night of the Museums for the first time this year. “That’s 12 new stories that visitors to Belgrade will be able to familiarise themselves with for the first time,” she added, noting that an exhibition has also been prepared featuring the novel “The Master and Margarita” by Russian great Mikhail Bulgakov. Costume designer and painter Boris Čakširan has announced the exhibition “Personality and Revolution – reconstruction of costumes” at the Culture Centre in Čačak. “This is an exhibition dedicated to the personalities that marked various revolutions or found themselves involved in them,” explained Čakširan, adding that the exhibition features costumes made for films and television series. 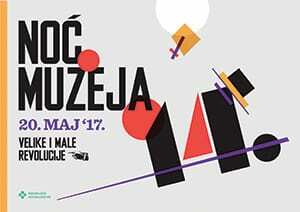 Curator of the Museum of Coal Mining in Senjski Rudnik, Miroslav Nikolić, said that the theme of their event that evening will be “Women in coal mines, then and now”. When coal mining is mentioned to the general public they immediately think of men, but few people know that women have a very important role in the development of mining,” said Nikolić. 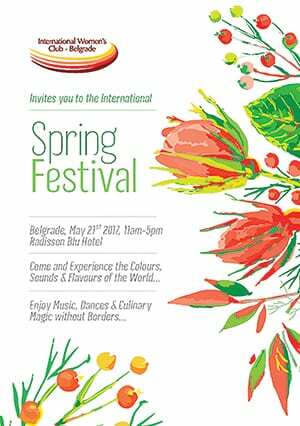 The International Women’s Club, IWC, invites you to experience the colours, sounds and flowers of the World at the International Spring Festival. Enjoy music, dance and culinary delights. The Smart City Festival #SCF17 is coming to Belgrade. Join us at #SCF17 and learn more about the challenges, opportunities and trends of smart urban development, presented by international and regional experts. The festival will offer guest a three-day conference, the BEUM Hackathon, early education labs for children, the 2017 Smart City Challenge Serbia, various workshops, F-UP Nights and post-conference events with Mikser Beograd and much more. 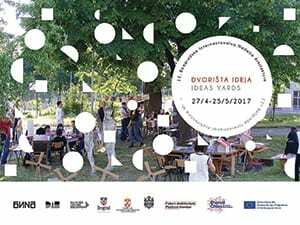 The name of this year’s event, the Ideas Yards, originated from the concept of a European project in which BINA and its ten partners will participate over the next 4 years – Shared Cities: Creative Momentum – which is based on the concept of a “yard” that is, basically a common, public space in which ideas about the city and urban spaces arise and are shared to suit the users. By creating ideas and programs in public urban spaces, social innovations are encouraged from creative sectors, which include the participatory processes of urban design. In this year’s BINA “yard”, we will explore elements of the architecture of Nikola Dobrović, put the General Staff Headquarters building into focus, exchange experiences with our colleagues within the Future Architecture Platform conference “Belgrade Outskirts – Envision the Future”, present two European events, the Triennial of Architecture from Lisbon and the Biennale of architecture BETA of Timisoara, host the exhibition called “Small Utopias” by the MAXXI museum in Rome, discuss the architecture of knowledge as the driving force of urban development, cheer for the swift implementation of the detailed design for the reconstruction of the Belgrade City Museum, socialize with the experts that build and equip our buildings, while students and pupils will create their architecture in workshops, and we will all walk through Belgrade together, getting to know the city over and over again. BINA 2017 speaks the language of transdisciplinarity: architecture, anthropology, philosophy, sociology, music, visual arts and design. We invite you to join us at exhibitions, lectures, walks and workshops so that, together, we can contribute to creating responsible solutions for new spatial challenges that our surroundings constantly face! Welcome to the twelfth Belgrade International Architecture Week, welcome to the Idea Yards!